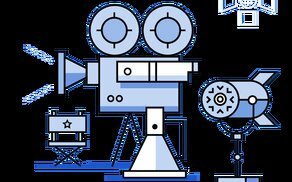 The news was announced at the inaugural Screen Industry Education Forum, which aims to bring together screen industry stakeholders, education/training providers and policy influencers to focus on the skills development challenges and opportunities of the screen sectors in Ireland, including Film, TV, Animation, VFX, Games and AR/VR. Screen Skills Ireland’s new careers portal is a comprehensive online resource for new entrants and industry professionals, that will provide an overview of the screen industries and a breakdown of departments and the key skills required for all roles across Film, TV (drama and non-fiction), VFX and Animation. “As part of Screen Skills Ireland’s commitment to mapping out career paths in the screen industries, this is a continuous, ongoing project that will allow new entrants and industry professionals in Ireland to see at a glance the large range of roles available in the screen industries, as well as map out career paths and progression opportunities. It is the first of its kind in Ireland and we envisage that it will be an excellent resource for the sector. It will be managed and updated by Screen Skills Ireland, aiming to provide a snapshot of the industry as it currently stands, providing new entrants and professionals with guidance on where and how to best address their career objectives”. The Careers in Screen portal can be accessed by visiting http://www.careersinscreen.ie.